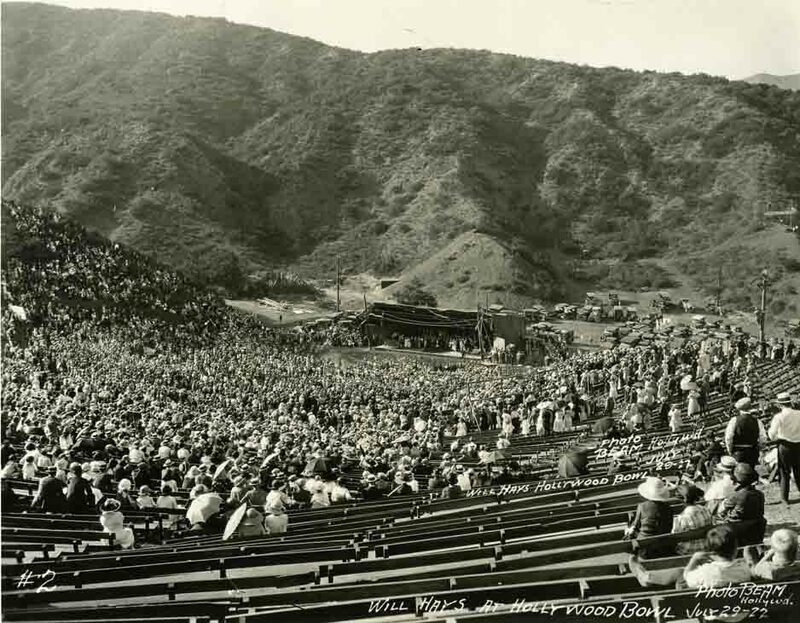 The first Hollywood Bowl platform stage was covered by a very crude canopy, which protected the performers from the sun. 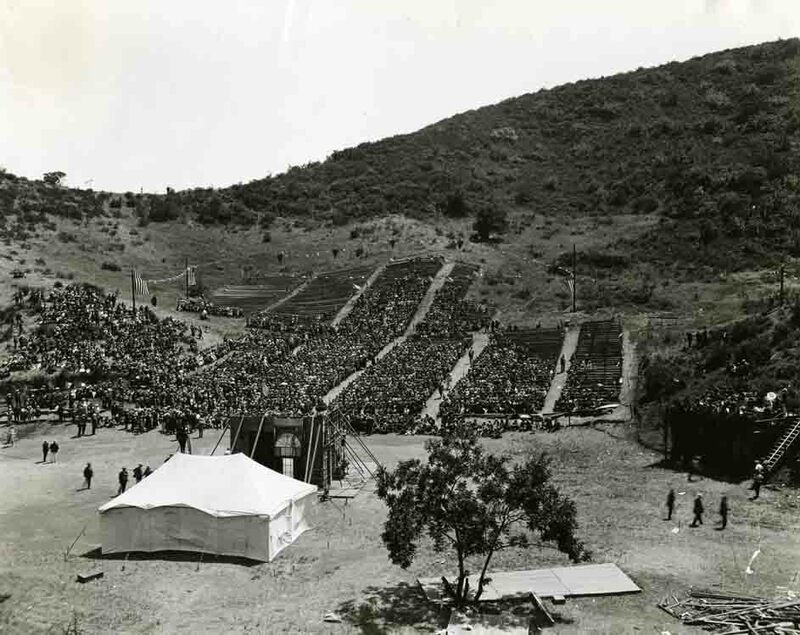 As can be seen in this 1922 photo are some of the wooden benches, on which the members of the audience sat. From the hollywoodphotographs.com website. 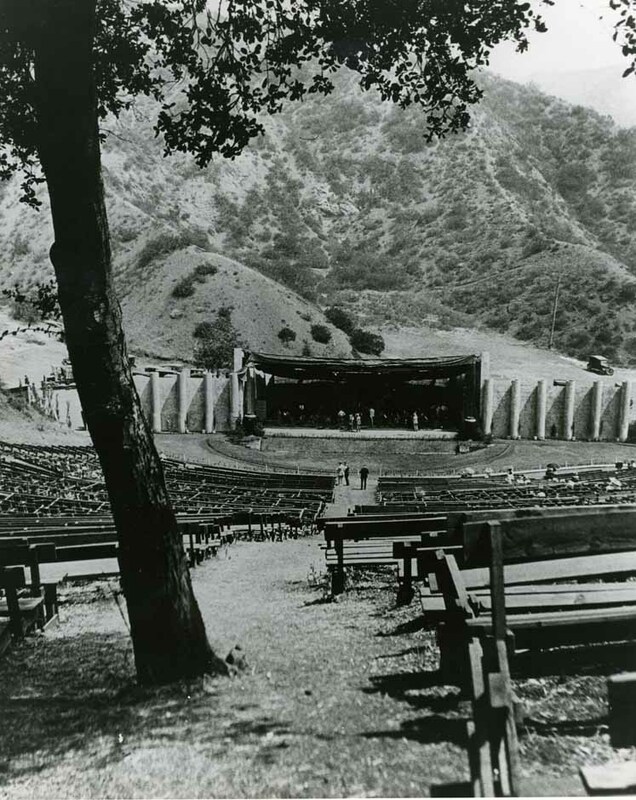 From the time the Hollywood Bowl held its first concert or play, the natural ampitheater was a smashing success. Because of this, it was decided to build a permanent facility. 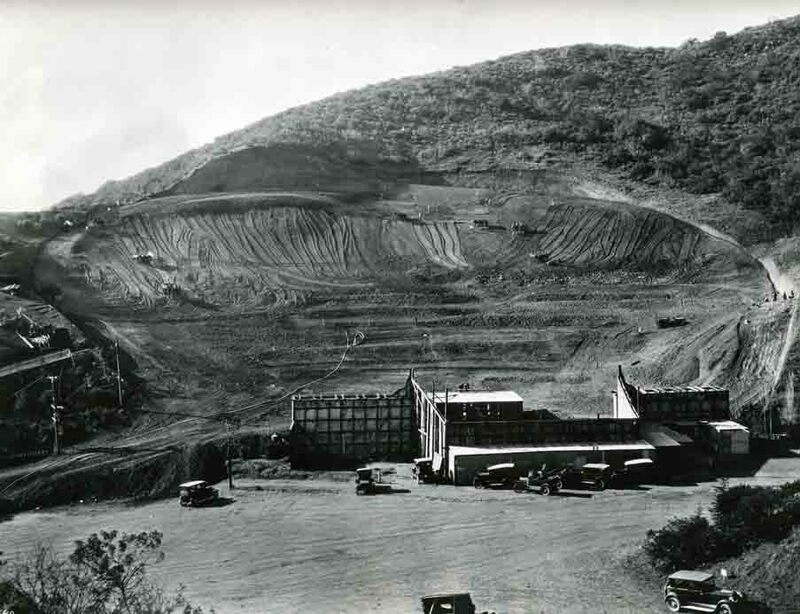 In 1926, all the wooden benches were removed from the hillside and the area graded by horse drawn graders. All the work was completed in time for the 1927 season. From the hollywoodphotographs.com website. From the hollywoodphotographs.com website.